Garnering praise for his “most impressive… bright, clear tone and lively personality” (New York Times), American tenor Brian Giebler is a “faultless high tenor” (Seattle Times) with “great elegance of tone and phrasing” (Baltimore Sun). From Evangelist in Bach’s St. Matthew Passion with the GRAMMY®-nominated Choir of Trinity Wall Street under Julian Wachner to Stravinsky with The Cleveland Orchestra under Franz Welser-Möst, Mr. Giebler’s “lovely tone and deep expressivity” (New York Times) and "expressive and elegant phrasing" (Cleveland Classical) is well-suited to a variety of music. He has been a soloist with The Cleveland Orchestra (Severance Hall), Virginia Symphony Orchestra, Syracuse Symphoria, American Classical Orchestra (Lincoln Center), Oregon Bach Festival, Baldwin Wallace Bach Festival, New York City Chamber Orchestra (Carnegie Hall), Handel & Hadyn Society (Jordan Hall), Apollo’s Fire, Seraphic Fire, TENET, and the GRAMMY®-winning Conspirare. While his “gleaming tones” and “attractive light tenor” (SouthFloridaClassicalReview) lends itself best to the music of Bach, Handel, Mozart (and the like), he has found another niche fleshing out tenor roles in new works by prominent modern-day composers such as Martin Bresnick, Julian Wachner, James Dashow, William Antoniou (Anathema: The Turing Opera – National Sawdust), and John Muehleisen. 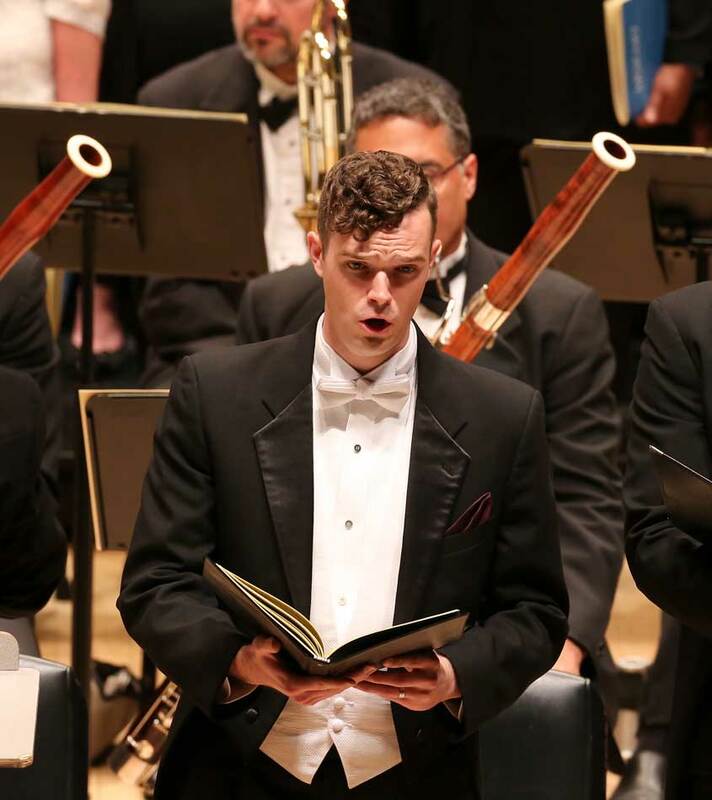 Mr. Giebler was a prize winner at the 2018 American Traditions Vocal Competition and the 2016 Biennial Bach Vocal Competition sponsored by the American Bach Society and the Bach Choir of Bethlehem, as well as a finalist in the 2017 Handel Aria Competition and the 2016 Tafelmusik International Vocal Competition. Later this year, he will make his solo debuts with the Boston Early Music Festival, Mark Morris Dance Group (Lincoln Center, Mostly Mozart Festival), Musica Sacra (Carnegie Hall, Handel's Messiah), and Charlottesville Opera. More information available at: www.briangiebler.com.